It's important to take your car in for service as soon as you notice the early warning signs of transmission problems such as hesitant shifting or sticky gears, but who do you trust with one of the most important assemblies in your car? Or more importantly, who do you trust to provide you with a fair and accurate estimate of necessary repairs. 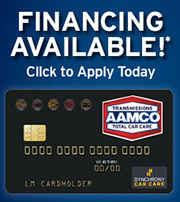 With AAMCO Transmissions and Total Car Care of Las Vegas, the answers are simple. We've been providing nationwide coverage and reputable service for over 50 years, and our comprehensive diagnostics approach is second to none. Between our highly skilled technicians and advanced diagnostic resources, we've helped over half of our customers walk away with only minor transmission repairs. 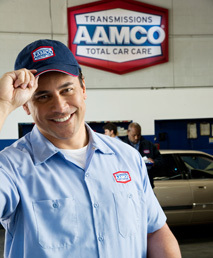 We also provide superior customer service on the road. 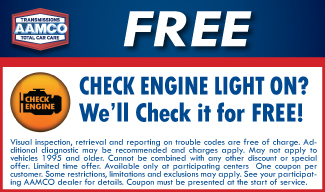 Guaranteed warranty coverage comes with all of our services, both major and minor, and it's redeemable at any one of our service centers nationwide. Depending on your needs, we can also cover your automatic transmission for the life of your vehicle with our extended warranty plans. Own a local business? Contact us to learn about our fleet management contracts to keep your fleet vehicles on the road while saving on factory-recommended maintenance. We service Grumman trucks, box vans, stakebeds, cutaways, and more. We're here to help with reliable auto repairs when you need them most, that's why we'll cover towing fees and set you up with a competitive financing offer upon credit approval.